Christina Kaia is an Oil Search electrical apprentice based at the Company’s Kutubu operations in the Southern Highlands. Recently, Christina became the first apprentice to receive a completion certificate for the module of Troubleshooting Electrical Circuits which is a computer-based training package that teaches real world skills at fault finding electrical circuits. The programme is called Simutech Electrical Troubleshooting Training and has been rolled out to all Oil Search electrical and instrumentation trades. The training consists of six modules that increase in difficulty from basic electrical circuits to basic fault finding on Programmable Logic Controllers or PLCs. Each person works alone on a computer at their own pace and performs fault finding exercises on a series of simulated electrical faults that mimic actual faults. Successful completion of each module requires demonstrating the safe resolution of the faults with no functional components replaced. Performing troubleshooting and fault-finding tasks are often required of electrical technicians on the job. A multi-meter and other diagnostic methodologies are used to safely and efficiently determine faults in electrical circuits to locate and replace defective parts. Christina said she has found the programme both interesting and challenging and now understands the process of fault finding and can apply these skills to her job. Other apprentices whose accomplishments in the training program have been notable are John Abage and David Warima. All apprentices showed great dedication and determination to complete the module with no errors. This has improved their electrical fault-finding skills and encouraged a safe approach to fault finding on electrical circuits. 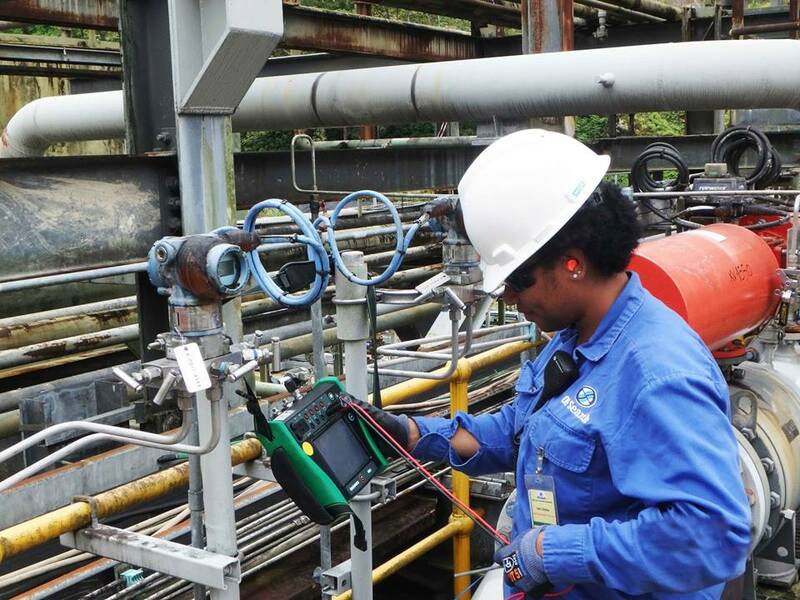 Organisational or staff development, particularly of its citizen workforce, is one tangible way in which Oil Search continually demonstrates its commitment to PNG. Having highly capable employees contributes to the overall success and effectiveness of the Company and its intention to unlock the country’s full oil and gas potential, ensures continued delivery of long-term value to all stakeholders.